Designed for guitar players, the TC Electronic POLYTUNE 2 MINI is a tuning pedal. It offers polyphonic tuning, which means you can strum all the strings at the same time, look down at the display, track the tuning of each individual note, and tune much faster. It does this all while taking minimal space on your pedalboard, so you can save room for more traditionally exciting stompboxes. The pedal makes use of 109 ultra-bright LEDs that ensure visibility on darkened, foggy stages. You can set these LEDs to work in Needle Mode, which gives you a column of five LEDs, or Strobe Mode, which is a more conventional display. With the POLYTUNE2 MINI, you'll get a tuning accuracy of ±0.1 cents, which is pretty fine. No need to manually switch between modes: the pedal senses monophonic or polyphonic information automatically. If you're using alternate tunings, you can set the pedal accordingly. Drop D, capo, and other modes are all available. The pedal operates with true bypass circuitry so it won't affect your tone when it's engaged or bypassed. It requires a separately available 9 VDC power adapter to operate. 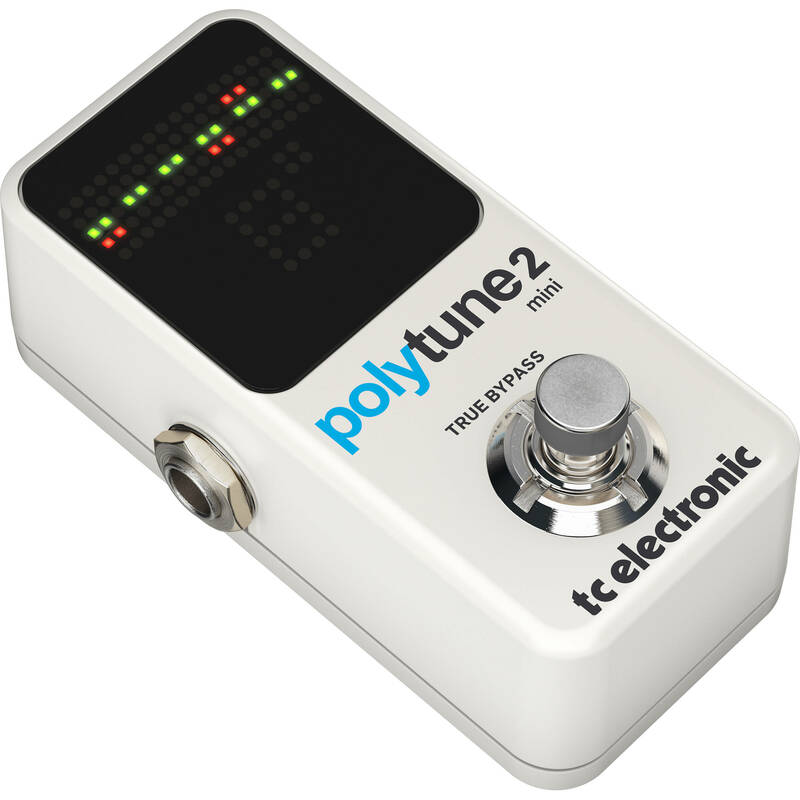 The POLYTUNE 2 MINI allows you to play all your instrument's strings simultaneously when tuning. POLYTUNE 2 MINI will detect which strings need to be tuned and indicate those strings in its display. This allows you to tune your instrument much faster. You can strum your instrument, and POLYTUNE 2 MINI will analyze and display the tunings of all strings.